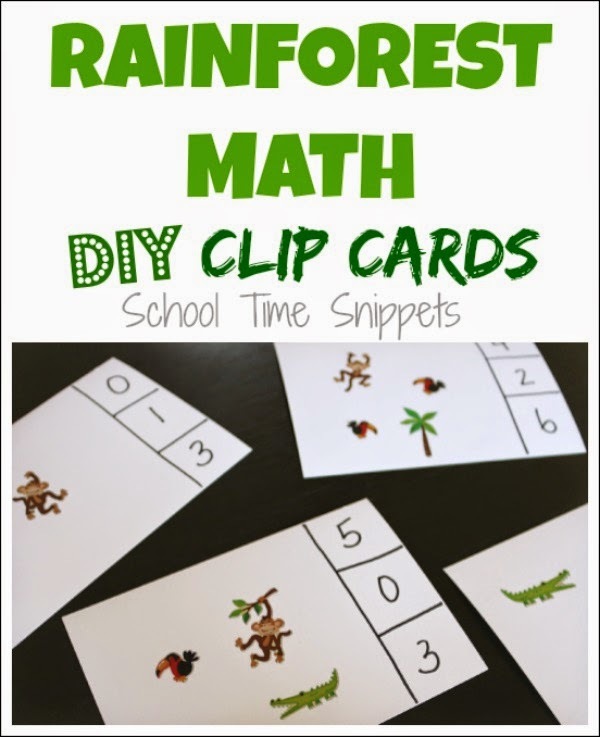 I seem to be drawn to creating math activities for my daughter, so to work on number recognition and counting, I made some DIY Clip Cards. 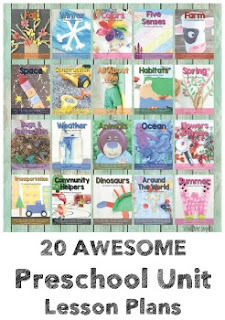 Making your own is so easy to do and you can adapt them to any theme! 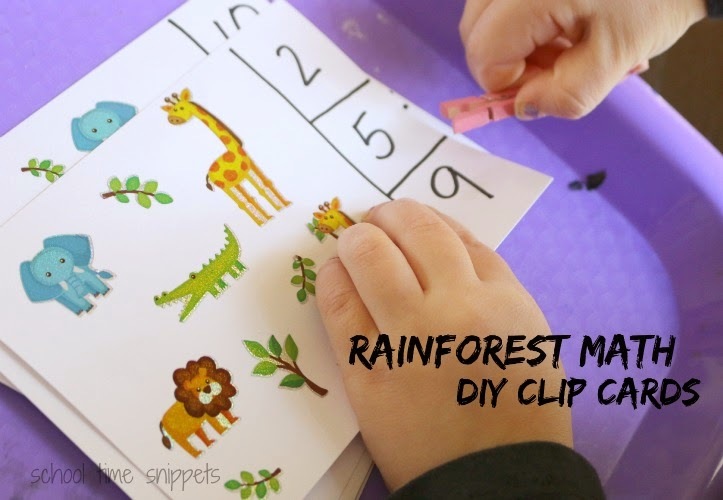 Here's our DIY Clip Cards for our preschool rainforest theme. 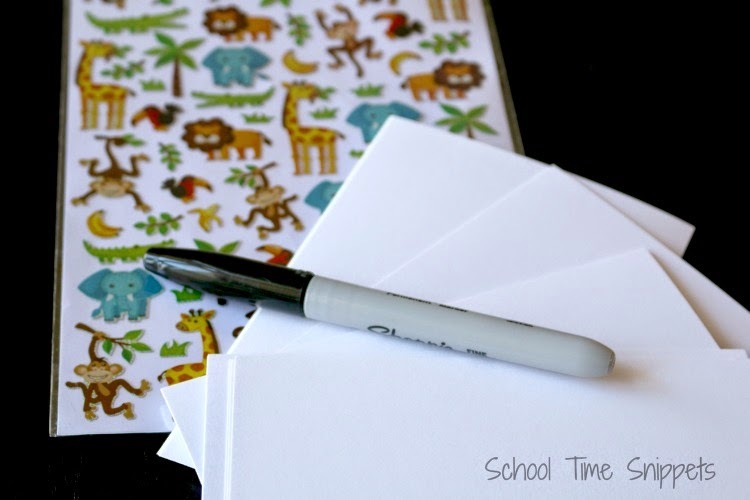 With your supplies handy, begin by adding stickers to each card. On the right hand side of the card, draw a vertical line and divide the right section into thirds. 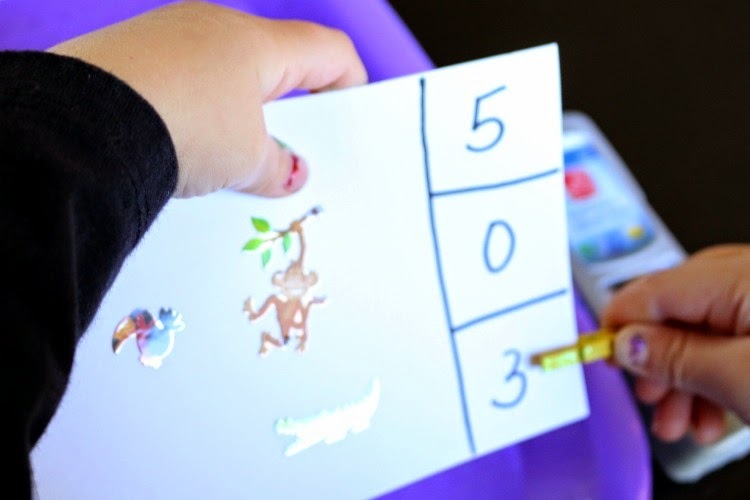 In the three small boxes, write the number that matches the number of stickers on the card, and two other numbers. 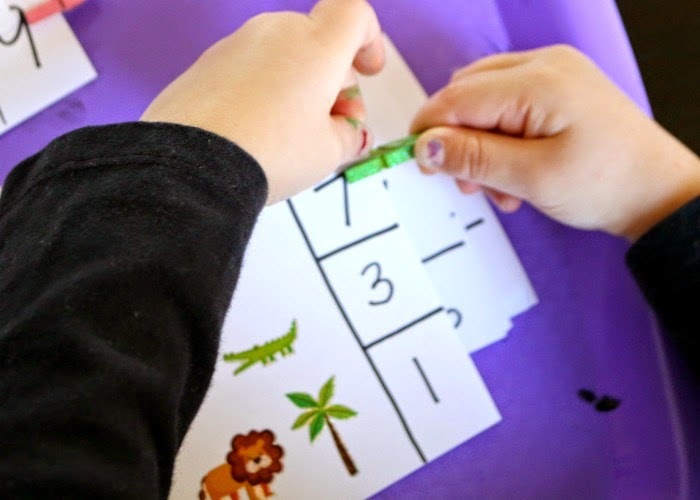 With clothespins handy, encourage your child to count the stickers on the card and match it to one of the numbers on the right side. Continue until all the cards have been completed! 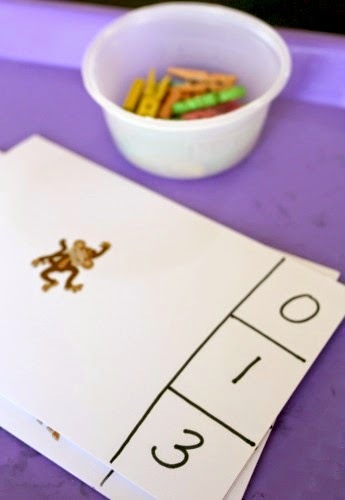 To add in an element of self correction, make a dot or add a leftover sticker to the back of the card indicating the correct answer. Little Sis really seemed to enjoy this simple diy math activity I put together for her. It also helped me see which numbers she still needs work on recognizing. It was also a chance to work with her one-on-one, as I sat with her to help her count out each card. I wouldn't have wanted to miss the big ol' smile she gave every time she clipped the correct number! 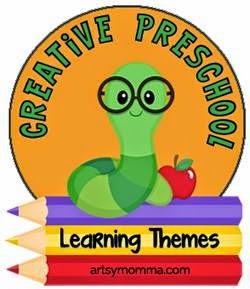 We'll see you for another Creative Preschool post in two weeks for an Outer Space Theme! !